Richmond, the capital of the Commonwealth of Virginia, has the distinction of being an independent city not part of a county. Almost one quarter million people live on 60 square miles of land, 2.5 of which is water. The city sits on the falls of the James River, which saw early colonists move from Jamestown to settle on Richmond properties in the early 1600s. Today’s settlers of real estate in Richmond send their kids to 28 elementary schools, nine middle schools and eight high schools. Nearby colleges include Virginia Commonwealth University, University of Richmond, Virginia Union University, Virginia College and ECPI College of Technology among others. Over 5 percent of Virginia residents move to Richmond from other counties. Richmond is near the offices of Fortune 500 companies (including CarMax and Genworth Financial), eighty attractions, and premier medical facilities. Virginia Commonwealth Medical University and is the only level 1 trauma center in the entire central Virginia area. The land Richmond occupies was wrested from the Native American Powhatan people. The early 1600s, however, saw the English settlers of Jamestown driven out of their forts by other Native Americans. These stalwart people journeyed upriver to Richmond and began planting sweet tobacco. The original town was laid out in 1737 by William Mayo at planter William Byrd’s behest. Largely agricultural, Richmond grew and was the center of a brisk shipping trade that dealt largely with tobacco. In 1889, a group from the district of Jackson Ward, led by former slave William W. Browne, founded the first African American bank. The True Reformers Savings Bank was the start of a pioneering black financial empire, and Richmond became known as the "Black Wall Street of America." When locals feel the urge to fish, hike and bike, toss horseshoes, swim, golf, or play soccer, there is a park nearby that will accommodate them -- Richmond has over 100! If a whitewater raft down the James River is your thing, there’s a park for it. 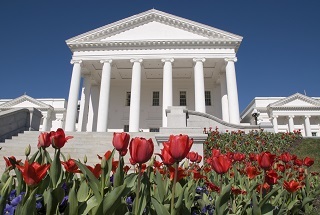 If a Richmond home buyer loves to camp, well, they say Virginia is for lovers! Drop your boat into the water and check out the islands. You don't have to be a history buff to find the many Civil War battlefield parks, historical buildings and gardens fascinating. Who wouldn’t want to see the White House of the Confederacy? Or maybe a cruise on the James River and Kanawha Canal is your idea of a great afternoon. These and other attractions make Richmond a city whose residents are always in action or enjoying the local culture. 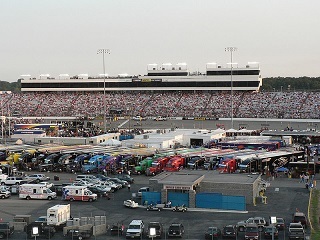 Richmond has a diverse calendar of local events, including horse racing at Colonial Downs and NASCAR races at Richmond International Raceway. From the Farmer’s Market to city walking tours, something is happening in Richmond. Live music, festivals, flowers, butterflies, tobacco collections and poetry readings are the focus of events in Richmond. It isn’t all about the Civil War! There is even an event for robots, how they imitate human movements and thought. If you are looking for real estate in this historic and vital town, call Philip Hoffman before you start, 804-794-2662. 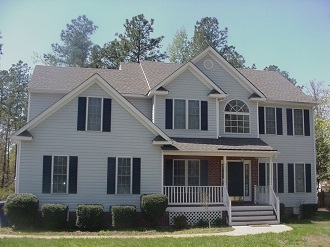 He is an experienced pro who knows Richmond and can find the best deals to put you in your dream home!